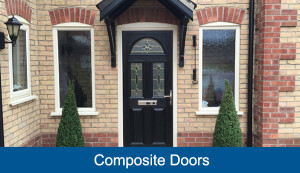 All Easyglaze Composite doors are available in any colour you wish plus an extensive range of glass and side screen options to give your home a stunning appearance. Manufactured from a variety of materials, including uPVC, wood, insulating foam and glass reinforced plastic (GRP). The insulation foam core provides a higher thermal resistance than timber doors. It’s the best solution for a low maintenance, very secure door. They have a high resistance to weathering and don’t react to seasonal changes. They won’t fade or discolour – and neither will they need painting, nor warp in damp conditions.